Probably just like most of you reading this, I’m a sucker for child life-y apps! 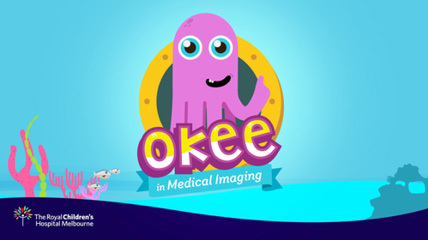 This month’s favorite find is an app called “Okee in Medical Imagining” created by the Royal Children’s Hospital all the way in Melbourne, Australia. This very cute & child friendly app gives it’s users an insiders view on different radiology tests and procedures – focusing on the 5 senses (what will i see? hear? feel? taste? smell?). The wording is very clear and concise, perfect for parents to read to their child or for kids to read on their own. 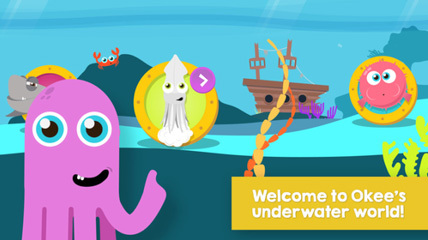 Aside from the educational side, there are also fun games for the younger population that focuses on things like holding still, taking deep breaths, filling up with “glow ink” (contrast), finding broken bones on an x-ray, decorating your own CT machine, giving finding sea stars inside a jellyfish with an ultrasound, venturing in the MRI submarine, and even games for nuclear medicine and fluoroscopy!